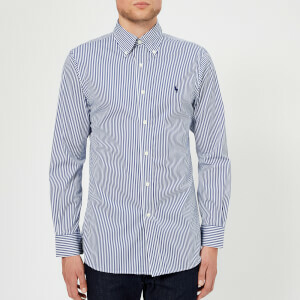 Oversized shirt from Lanvin with an all-over striped pattern. Cut from quality cotton with a back yoke and rear box pleat to enhance fit. 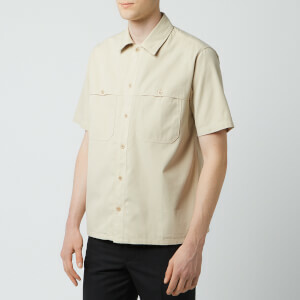 The shirt is detailed with a pointed collar, a button front placket and a tonal chest patch pocket. 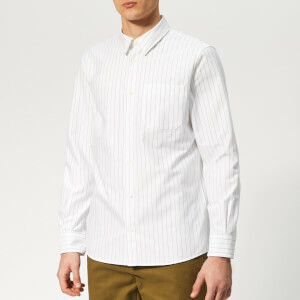 Long sleeves with split buttoned cuffs also feature. A stepped hem completes the design. Model is 185cm/6'1" and wears a size EU 39/15.5". Size Please choose... EU 38/15" EU 39/15.5" EU 40/15.75" EU 41/16"